The Custom Redirects add-on allows site owners to define the URLs subscribers are redirected to after logging in and registering accounts. 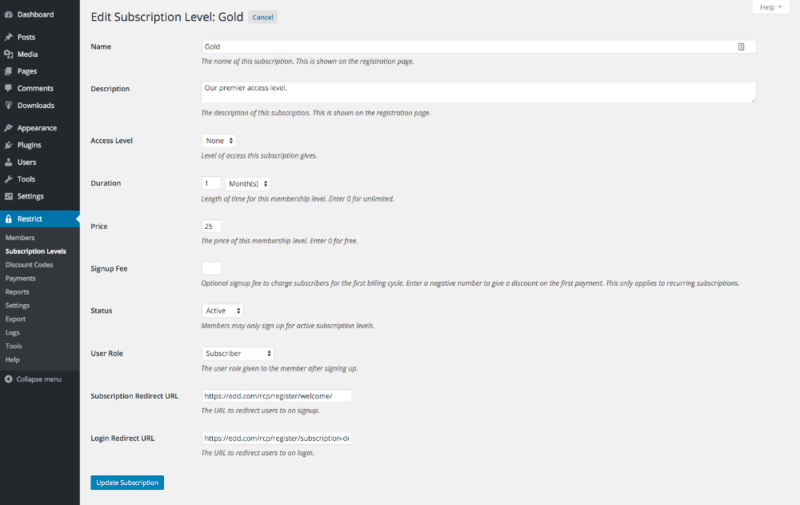 It allows for URLs to be specified for each subscription level independently through a simple set of options added to the subscription edit screen. 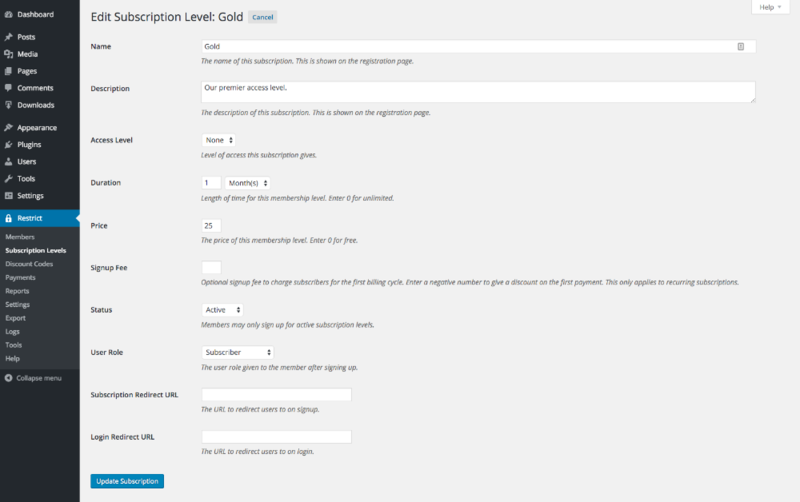 Subscription Redirect URL - This is the URL that members will be sent to after registering for this subscription level. Login Redirect URL - This is the URL that members subscribed to this subscription level will be redirected to after logging into their account. Note: The login redirect URL only works with the [login_form] shortcode and other login areas built into Restrict Content Pro. It does not apply to the wp-login.php form.